Nashville, Tennessee – September 25, 2018 —MedicalGPS, LLC (“MGPS”) and Riverview Health entered into an agreement in November 2017 whereby MGPS is providing Riverview Health and its multispecialty physician practices with M3-Patient Experience, MGPS’ real-time, patient engagement tool that helps physicians, support staff and practice managers maximize the patient’s clinic experience. As of this writing, Riverview Health and MGPS offer the following update regarding the success that Riverview Health has had to date as it relates to achieving, and sustaining service excellence. 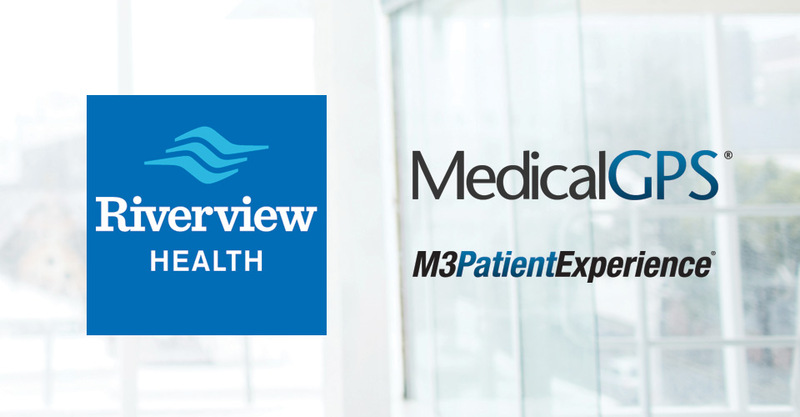 M3-Patient Experience is an internet-based, HIPAA compliant, patient engagement tool that provides physician practice leadership the capability to continuously monitor, measure and maximize patient retention and patient loyalty. M3-Patient Experience monitors each segment of the patient’s experience, from beginning to end, including; appointment scheduling, check-in, rooming, vitals, provider-patient encounter, messaging, ancillaries, checkout, and billing. M3-Patient Experience captures patient feedback electronically, facilitating patient engagement in a real and effective way. Patient feedback is delivered real-time directly to providers and leadership via GPSMapping®, MedicalGPS’ Healthcare Business Intelligence Solution. Riverview Health is a comprehensive healthcare network comprised of a full-service, 156-bed hospital located in Noblesville, Indiana, and 25 primary, immediate and specialty care facilities located in Hamilton County. More than 350 physicians—many of who are board certified or fellowship trained—provide healthcare services in 35 medical specialties. Their expertise, coupled with exceptional specialists and nursing staff, is one of the many reasons Riverview Health is frequently recognized for clinical and service excellence. Riverview Health’s goal is to provide compassionate, patient-centered care to the Noblesville community and surrounding areas. Riverview Health continually promotes a progressive, nurturing environment—and supports the community through educational seminars, screenings and other events, aimed at helping individuals, and their family members stay well. Click here to learn more about Riverview Health. MedicalGPS specializes in the delivery of services and products that provide actionable information to the fingertips of healthcare professionals. Unique to MedicalGPS’ product offerings is M3-Patient Experience®, a real-time patient engagement system that monitors, measures and maximizes patient loyalty and patient retention. Using GPSMapping®, MedicalGPS’ proprietary business intelligence information system, healthcare decision makers enjoy a full array of internet-based decision support tools, some dating back to 2003, which include; real-time patient engagement, chronic disease management modules, provider-to-patient connectivity, financial & clinical benchmarking dashboards, E & M coding profiles, payer mix & reimbursement trends, and other tools designed to maximize the patient’s experience and optimize care. Click here to learn more about MedicalGPS.